A successful lead generation strategy relies on featuring a useful form. From this form, you can get visitors to perform a desired action. This includes clicking a button pointing to your landing page. It can also encourage them to enter their email to subscribe. Lead generation lets you inspire action and engage with visitors in meaningful ways. The engagement can lead to increased brand awareness and more sales! Nowadays, it is no longer enough to have a lead generation form on your site. Everybody has a form on his or her sites trying to achieve the same purpose. Also, lead generation forms are not all about design anymore. Opt-in form boxes nowadays even the playing field for designers and non-designers alike. You can drag and drop elements onto the box and create optimized forms in minutes. As more people are doing these on their sites, it is best to learn how to stand out from the rest. To maximize your lead generation strategy, you need to take a calculated approach. Consider the different factors of your lead generation form that increases traffic and subscribers. Below are prime examples of the best lead generation forms that you can follow. I will detail the different factors that resulted in increased conversion rates from visitors. A lead generation campaign plays a big role in your sales funnel. However, for your campaign to work, you need to understand the big picture. 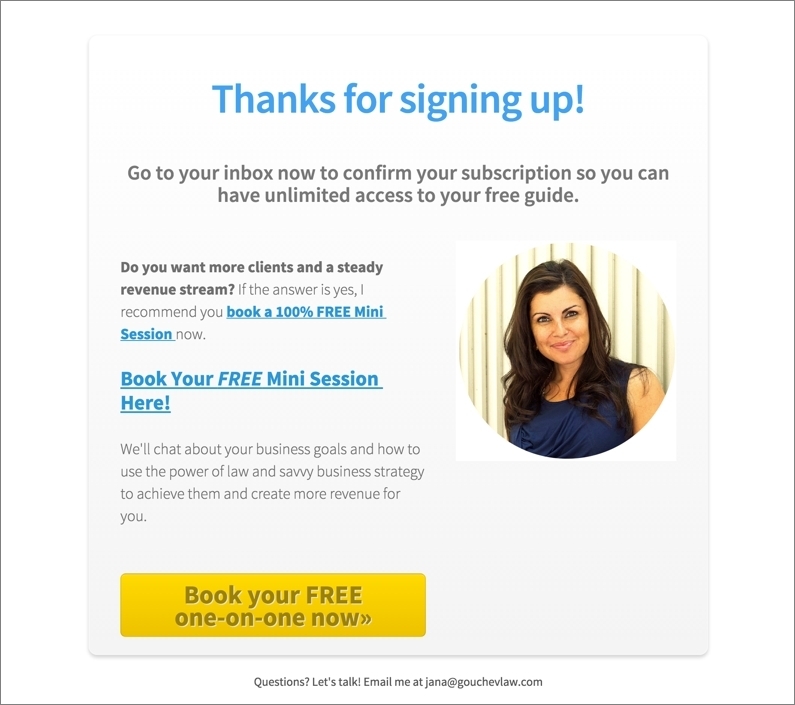 Lawyer Jana Gouchev used lead generation to educate her audience and earn their trust. 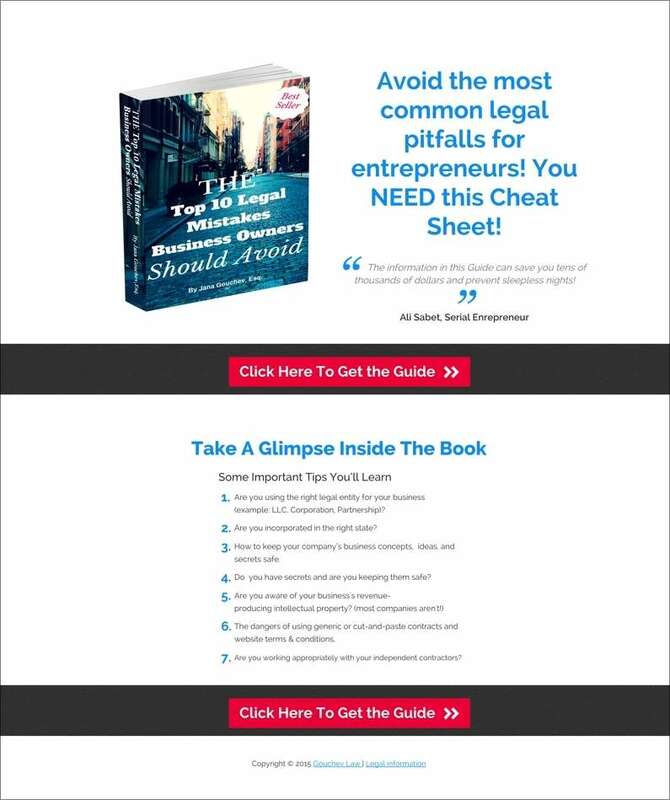 Visitors who signed up the opt-in form will receive her ebook The Top 10 Legal Mistakes Business Owners Should Avoid. However, as good as the e-book was, it did not generate the results she wanted. To improve her conversion rate, Lana created a much better landing page using LeadPages. The landing page has two CTA buttons: one above the fold and another at the bottom of the page. Both function with a particular purpose. The first CTA provides visitors who wish to get the e-book after reading the copy above the fold. Visitors who want to know more information about the e-book can scroll down the page. Once the web copy compels them to download the e-book, in comes the second CTA button for clicking. Both create two layers that visitors interact with the site for a higher conversion rate. Jana also wants visitors to receive legal consultation from her. To achieve this, she created a page that thanks them for subscribing. At the same time, she asks them to set up an appointment with her from the page. The use of white space on the page makes the information easy to digest. It also allows the CTA button to become much more visible. Finally, featuring her face is a personal touch that creates trust with her subscribers. The levels of interaction with visitors have made a positive impact on her campaign. Before using LeadPages, her conversion rate is at 12%. After using LeadPages, her conversion rate jumped to 42%! 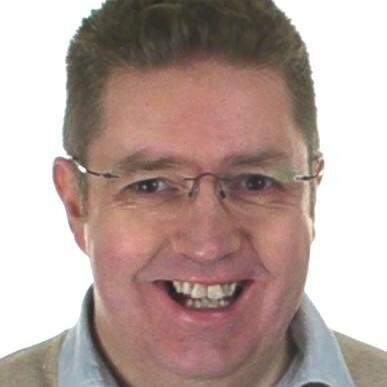 Another example of intelligent use of lead generation forms is from Ian Brodie. As the author of Email Persuasion, he knows a thing or two about building an e-mail list. He shares most of his secrets in this post. There are two tactics that stood out from his article. The first one is the exit intent popup strategy. The regular lead generation form appears after the page loads. Ian reverses the process by making the form appear once visitors attempt to close the window. According to him, this tactic increased his conversion rate from 2% to 4.5%! The other tactic he uses to increase email signups is the “sticky” box on the sidebar of his blog. The sidebar elements move as you browse the page. However, the “sticky” box remains static after scrolling down a certain point. …the “sticky” box stays in place! Based on the tactics above, it is obvious that using the best tools and designing the best form are not enough. You may have to combine all these and develop the right strategy for your lead generation campaign. The examples above are just some of the ways to increase the conversion rate of your lead generation. You can emulate the same tactics or come up with your own. Either way, take this as an opportunity to gain insight of your audience and get them to sign up for you. Not all strategies mentioned may work on your campaign. It is ideal to test out each one or combine them to see which one works best. To optimize your lead generation form, you must observe correct grammar in your sentences. Using Grammarly should help non-writers cover for their mistakes. Another cool tool for this purpose is the Headline Analyzer by CoSchedule. It determines the effectiveness of your headline using different factors. Aside from LeadPages, other email capture tools are available at your disposal. Two of the more popular are HelloBar and SumoMe. Both have different tools to help you collect emails of visitors or point them to your landing pages. Speaking of SumoMe, use its HeatMaps feature to find out visitor behavior when on the page. The feature will show which parts of the page that visitors click on the most. Use the date to place your lead generation forms on parts of the page with the most activity.